The European Commission has slammed the Government over its failure to meet minimum safety standards by preventing air pollution in London. It has issued a ‘letter of formal notice’ – the first stage in legal proceedings that could see the UK face fines of up to £300m a year for London alone – for failing to meet EU standards on clean air. 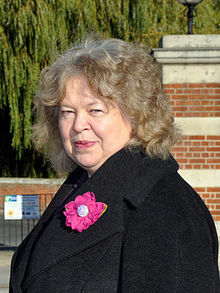 Green Party MEP Jean Lambert, a founder supporter of the campaign group Clean Air in London, said she hoped the legal action will serve as a wake-up-call. “I hope this formal letter now sees a serious response and is the start of a process which will see London’s air cleaned up, people’s health improved – and a reduction in the number of Londoners dying prematurely each year due to air pollution: some 4000 at last count,” she said. “Poor air quality really is a matter of life and death, and I am shocked that the Government and the Mayor of London have repeatedly failed to take any significant action to improve it and meet their obligations. “The latest figures show that some of the poorest areas of the capital have the worst air quality – so this isn’t just a public health issue, it’s an equality issue. This entry was posted in Activities and tagged Boris Johnson, Clean Air in London, EU LEGAL CASE AGAINST UK OVER LONDON'S AIR QUALITY, Green Party MEP Jean Lambert, the European Commission, the Mayor of London by tamesidegreens. Bookmark the permalink.